We writers do like to bang on about writing don’t we? How many of the heroes of novels are in fact novel writers? From Death in Venice to London Fields we insert our own occupation into the mix for a little post modern intrigue. We even like our fictional detectives to be writers from Jessica Fletcher and Castle to the poet Adam Dalgliesh, created by PD James. It is very tempting to follow that over used dictum to ‘ write what we know,’ and write all about us. Thus far I’ve avoided that trap only because my fictional characters have to be as unlike me as possible in order to fulfil their role as adventure hero or heroine. 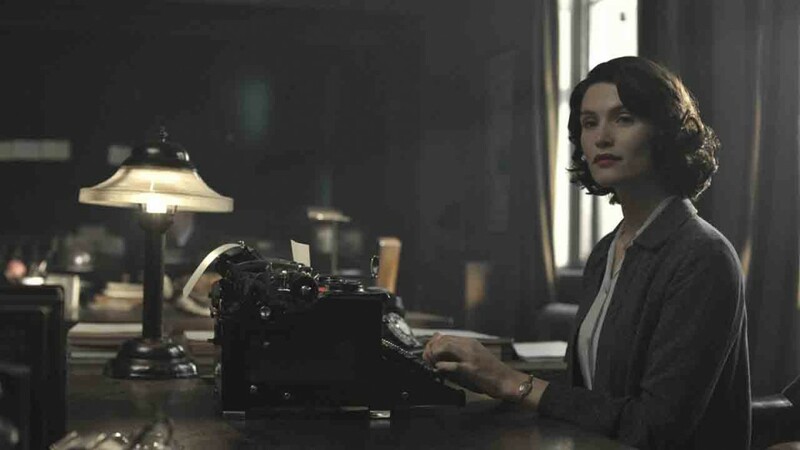 The urge to write about a woman just like myself is strong though I am still fighting it, which makes me an unlikely convert to a script about a script writer. Of course I used to love those Hollywood films like ‘Singin’ in the Rain’ about making a film, but the recent 'La La Land'which seemed to focus on the undiluted narcissism needed to fulfil your dreams, made me somewhat sceptical about ‘going to see the recent film, 'Their Finest’ which is, in many ways, even more self referential. I am pleased to say I was wrong. 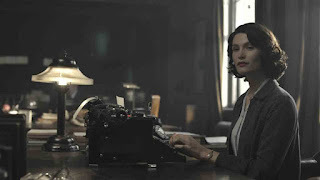 The film tells the story of a woman script writer in war time London, getting involved in writing the ‘slop’ the woman’s dialogue in a propaganda movie. Sure, a writer is the hero, but a rather self deprecating one. It seemed to me that the film is less a self aggrandising story about the writer as ‘star’ and more a reflection on the intersection between fiction and life - contrasting the deliberate construction of the one against the unpredictable chaos of the other. It is inevitably a romance, but more than that it is a story about a woman who was saved by work, by writing. This happens literally; in staying at the office to save the script and her relationship, she is absent when her flat takes a direct hit. It also happens metaphorically so that when life gets in the way of the predictable happy ending the solace she finds in her work provides some kind of alternative. I also loved the way the camera returns to the structural story board for the film within the film, drawing attention to the way the main story mimicked the fictional story's peaks and troughs. I may, in consequence, revise my view on self referential writing. We all adapt the peaks and troughs of story telling into the narrative we tell ourselves about our own lives. It is not just writers, but all of us, who cast fictional versions of ourselves in the dramatisations we construct: our own stories are always fed by the fiction we consume. In tricky times maybe we need more that is heart warming, inspiring and optimistic, so that we can all cast ourselves as plucky heroes and heroines, keeping calm and carrying on. 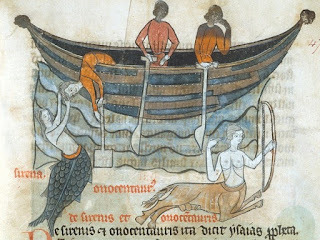 Our wonderful British Library has been justifiably blogging about its fantastic collection of medieval manuscripts, and posting some of the images on Facebook. I've never seen them in so much close-up detail before, and they really are amazing - the details so exquisitely drawn by monks with no access to either great lighting, apart from what the sun or candles provided, or, of course, reading glasses. A Polish artist, whose name I can no longer find, has made an animation of one of them, and if you think about it, these manuscript illuminations are like very early comics, and perfect for animation. The British Library's blog is at, very simply, "Medieval Manuscripts Blog", but the other site that's hugely interesting is at: www.fb.com/discardingimages It's an odd url, but go there and you will be richly rewarded. The animation I mentioned is of a Medieval nature story about the life of hedgehogs. It was believed that hedgehogs raided vineyards for grapes, shook them down (suspend your 21st Century commonsense here), turned on their backs and rolled over them, using their spikes like cocktail sticks, then scuttled back to their burrows and turned upside down, thus allowing their young to feed on the grapes. The animation is wonderful, with a commentary in Medieval Latin (subtitles in English). And people swallowed this story (but possibly not everybody). There's nothing new about False News, even if it involves hedgehogs. Following on from the exquisitely-drawn dragons' tails etc, the book review I read later seemed very appropriate. It's a book by Robert Knapp called: The Dawn of Christianity: People and Gods in the Time of Magic and Miracles, and I'm going to get hold of it. It seems that Magic, Conjuring and Miracles were rife at the time of Christ. There was, indeed, a Samaritan called Simon who performed mighty acts of magic and who was considered a god, as was, apparently, the emperor Vespasian who - it was witnessed - healed the lame and the blind, which explains why magic was so frowned on by the early Christians as it represented direct competition. Well I'm sure that if you got into an argument about the life of hedgehogs with a Medieval person, you'd lose because well, hey! it HAS to be true - just look at the picture. Did I already tell you that I was in the flying saucer business a long time ago? Together with an artist friend, we set up a gentle Flying Saucer company, gentle because Frisbees too enthusiastically aimed can occasionally cause damage. We called ours Wizbees, and sold them in Carnaby Street and the Design Centre, but unsurprisingly our British Flying Saucers did not make us rich beyond the dreams of avarice. This is one of them. The film - ah yes, this has been referred to before. Exciting, yes, but given the rate at which the film business works (think snails on Valium) the excitement tends to fizzle out. If it ever reaches the screens, you are all invited to a virtual Red Carpet event, for which I insist you wear all your finest fake diamonds or even your real ones. And so to dogs. A very troubled writer friend who shall be nameless has recently acquired a puppy whose presence is clearly transforming her life. I'm no good at doggie breeds, so I can't tell you which one, but it has silky ginger ears and a very sweet face. My daughter keeps urging me to get a dog - well maybe I should. 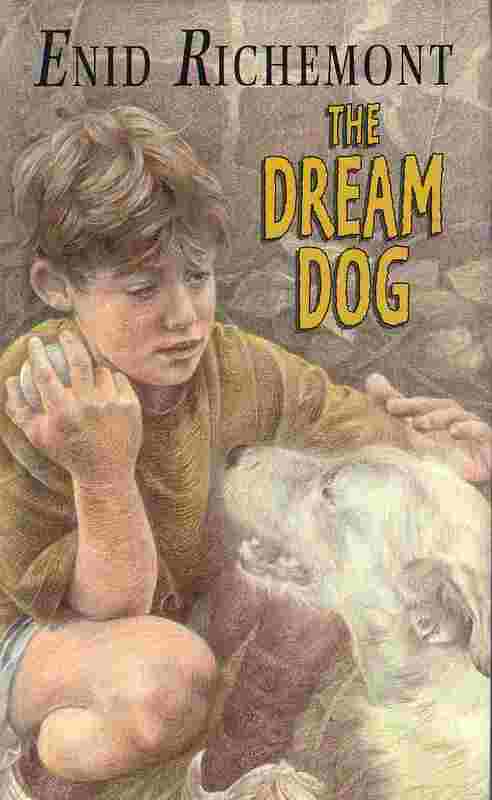 I did write "THE DREAM DOG", after all. First published by Walker Books far too long ago, it's currently available as an ebook on http://www.amazon.co.uk/dp/B0053Y27L8 (use .com if you're American) Read it armed with a box of tissues. People around me seem to mention the word “retirement” a lot, asking one another when they are thinking of taking the plunge. I’m keeping a low profile because I am not sure that, as a lifelong freelance writer, I completely grasp the concept. If I wake up in the middle of the night with a brilliant idea for a book, am I going to turn over and go back to sleep rather than follow the train of thought to wherever it might lead me? If someone emails me from some distant and mysterious land, inviting me to travel to them to hear their story with a view to ghosting for them, am I going to decline because now I am “retired”? There are aspects of writing which become increasingly tedious with age – typing mainly - but then sitting on a ride-on lawnmower can become tedious after an hour or two, as can sitting in a coffee shop with a newspaper or staring out to sea from a tropical island paradise. None of these things do I particularly want to give up. What exactly is “work” anyway? Is raising children or caring for an elderly parent work? I think so. Is commuting on a crowded train for hours every day work? Most definitely. I guess if you hate your job then retirement is an attractive option, but are there any freelance writers out there who really hate their work that much? They may have grown tired of dealing with publishers, but now they can bypass all that irritation and publish themselves. They may have grown tired of sitting at screens, but most of us are willing to pay that price for as long as our backs and wrists hold up to the repetitive stresses and strains. Maybe they want more time to indulge in hobbies and interests, but ever since I left school I have been following wherever my interests lead me, while trying to make enough money to keep the family fed and warm, so no change there. 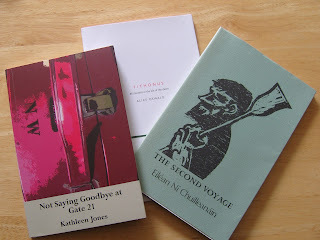 To contemplate retiring from writing seems to me to be the same as contemplating retiring from life, and I haven’t yet fixed a date for that one. On March 28, 2017, Audbible release Ode to Broken Things as an audiobook, but before that, they sent me a link to an excerpt on SoundCloud. Ode to Broken Things is my debut novel. Like a jealous Mum, I wanted the book to stride into this new audio world with intelligent self-conviction but I definitely did not want it adopted by a mentor so fabulous that it would forget its roots and my vision. So the first time I listened to Ode To Broken Things—if it can be called “listening” – was in the shower, with the sound partially drowned by cascading waters. Okay. So I am a writer who NEVER reads her books once they are published. When I am called upon at literary or talks to read excerpts, I discover cringe-worthy writing hiding in the recesses of my beloved passages. I am glad that excellent editors comb through my writing, because when I am done with edits, all I do is binge-watch Hallmark movies and Bollywood escapism for weeks, completely disengaging my brain until I am ready to do words again. I imagine that all writers are uncomfortable with their words made flesh, but the first time a German filmmaker showed an interest in my novel, underneath the excitement was the thought, How are they going to cast for a book that is set in Malaysia, has speakers of Malaysian English, Indian English, American English, and native speakers of Bengali and Malay? Ego reared a great ugly head, knowing that I, the creator of this world nurtured in my mind for over a decade, will see this story implode in the hands of another artist. Cue the entrance of Audible, purveyors of brilliant Audio Books around the world, who bought audio rights to Ode to Broken Things. Then they cast British actor HomerTodiwalla to read the book I had written. A word about the fabulous staff at Audible; they are wonderful to work with and as soon as the audio rights were in their hands, they offered me free audiobooks to check out their system and double-checked that I could access books in the UK and the US. They just weren’t interested in my input on who should be cast to read for my book. So when the Audiobook was released worldwide on March 28, I, along with millions of people, (ok, more like a few hundred people) heard this book at the same time. Most people probably heard it before me, because as you already know, I listened to it in the shower. My publisher, Repeater Books in London, have been most excellent with the editing and distribution of this book; I do very little but show up for events, so the fact that the audiobook would be good should have been self-evident. But I am a sociolinguist by academic training and like most researchers and teachers of language I knew all the things that could go wrong with pronunciation and articulation. If they had got me involved with Central Casting, I’d have whipped out a real shibboleth to sort out the Malaysian English speakers from others. The first time I listened to Homer reading, I was startled by the mispronunciation; Malaysian English is not Indian English, and the ubiquitous lah in Malaysian English does not take a pause before articulation, but tags on happily to words for emphasis (Ok lah, said as one word, can emphasise agreement, frustration, amusement, and a host of other human complexities). Malaysian English is also idiosyncratic and very very funny, especially when Antares describes it. But then, Homer started to weave his magic. As a professional actor, he knew where to pause breathlessly and where to raise his voice just so. The section on the hunt for the Kajang terror with the soldiers weaving their way through the dense undergrowth of the dank rainforests grew sonorous with the whisper of leaves and the chirp of wildlife. There is a nuanced lilt to his voice when he takes on the persona of the aged grandmother, Shapnasundari, which I, as an author rushing to finish reading and sit down again, will never be able to replicate on any stage. All of my worries about my Singaporean and Malaysian buddies listening to this and saying Rubbish lah! melted away as Homer’s voice filled my ears with words from succeeding chapters. I know from teaching English that very few people distinguish varieties of Asian Englishes clearly enough to be disturbed by anomalies in a particular type, and this audiobook, available in the US and UK for western readers, is unlikely to disconcert. Besides the story is still mine, still intact, still good...and much enhanced by the talent of the actor reading it aloud. Sweeter than the tree you plant is the fruit it bears. P.S: I still have a few free US & UK codes to giveaway for reviewers who want to review this audiobook; write to me here. 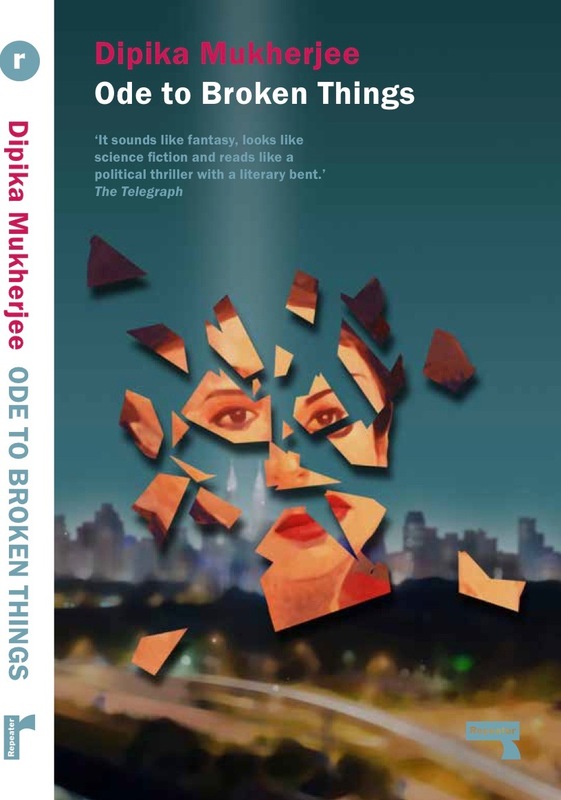 Dipika Mukherjee’s debut novel, was longlisted for the Man Asian Literary Prize, republished as Ode to Broken Things (Repeater, 2016) and is available as an Audible audiobook in the US and the UK. Shambala Junction, her second novel,won the Virginia Prize for Fiction (Aurora Metro, 2016) and was released in the US in April 2017. There was nothing to do but get on with it. I had made a reasonable start when the typesetter contacted me and said she didn’t like the way the dates were set out in the original MS. Could I change them from Month-Day-Year to Day-Month-Year? I started again... The problem was, the more work I did on it, the more my brain seized up! I was befogged. No space in my head for creativity. 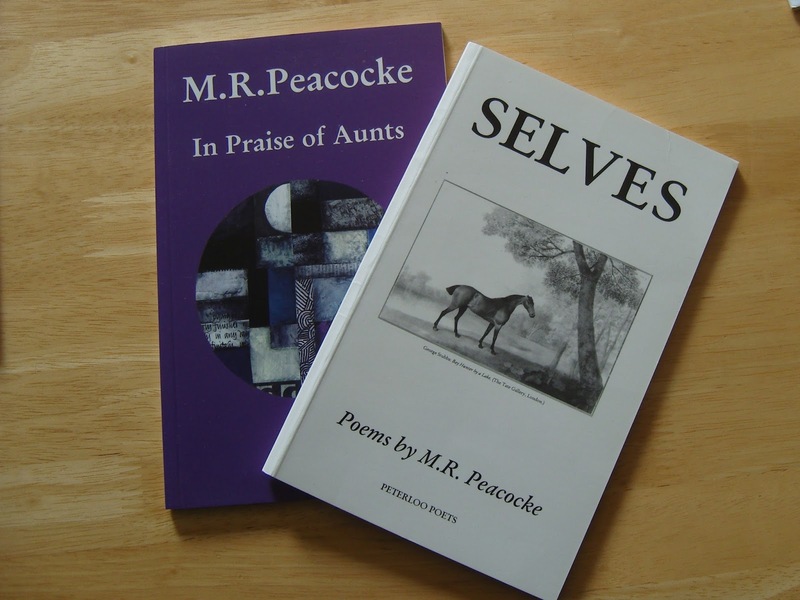 I have now, finally, finished the proof-reading, apart from a couple of queries I need to sort out with the author, but by the home stretch my poems were deteriorating into desperate doggerel as I tried not to get behind with the schedule, thinking I’d never catch up if I let things slip. 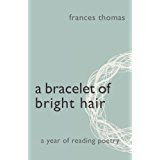 I realised, too, that I’d been reading others’ poems without actually taking anything in – much too fast and all of a dither. The trouble with losing the plot like that is not being sure that you can ever get it back. Despair set in, which only made it all worse. Then I remembered the poet M.R. (Meg) Peacocke mourning the fact that when she’d been unwell and hadn’t been able to go out for walks, it had adversely affected her writing. She found the rhythm of walking conducive – or necessary, perhaps - to producing her poems. She had also said that in order to write creatively, one needs to be able to access the space in the brain where daydreams arise. Walking and letting the mind drift pleasantly, leaving space for something to appear and settle; those were the precursors. It was time to put her wise words into practice. We live in Southampton, a busy city port, which is never still, never quiet. We’re opposite a large and very pleasant Common, which is always crowded with joggers and dogs. The upside – and it’s a very big up – is that we’re very close to some gorgeous countryside and seaside. Yesterday, after I’d closed the breezeblock and put it aside, we drove to Keyhaven and walked along the sea wall between the sea and the salt marsh. It was sunny, with high scudding clouds. Gorse was pumping out its lovely warm coconutty scent. A heron fished in the shallows. Waders probed the mudflats. A poem started to form. No doggerel this time. It’ll do. I am in the middle of house selling/buying hell, and now is the best time I could choose to launch a book? 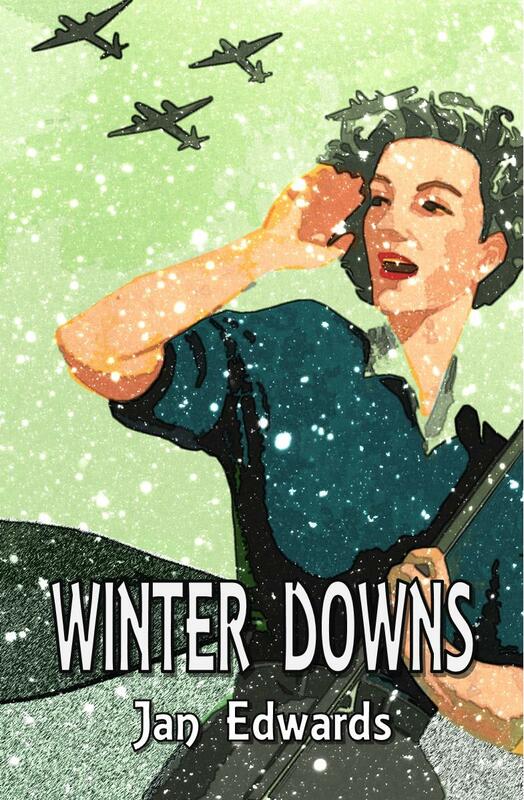 I shall be floundering around in book launch madness for my forthcoming crime novel Winter Downs until3rd June, and all other matters are barely registering in my rapidly addling brain so please excuse all obsessional ravings until further notice. Securing the services of City Central Library, Hanley, Stoke-on-Trent, on 3rd June for the launch was just the start. If anything it prompted a few dozen new slots on my to-do list. I have used ebay to source some Union Jack bunting and suitable WW2 clothing to emulate Bunch, my Land Army sleuth, for those readings. I still need to source a few chintzy table cloths (from charity shops) and suitable background music (Amazon). Fellow Penkhull author Jem Shaw, who by co-incidence also has a WW2 themed book later this year, came up with the idea of "Letters From Home" to be read at the launch along with other guest readings and an extract from Winter Downs itself. 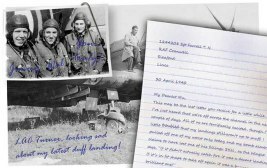 Letters From Home is an exchange of letters between and imagined pilot, Terry, 'somewhere in France', and his wife Muriel, waiting for him back home. Yes, it is adding to that word count needed to be fulfilled by July, but it is rather fun to collaborate on a writing project instead of ploughing on alone. Mad? Perhaps I am but it has to be done. Still to do on my list, and without doubt looming the largest of them all, is the book tour to finalise and all those wonderful bloggers to contact with my arc. This is always the tough part for me. Those who know me might think me loud and possibly even opinionated – but it’s all carefully constructed disguise. Behind all of that noise I am excruciatingly shy with people I don’t know. The process of approaching strangers and asking them to review/promote Winter Downs is a very real torture far harder than writing and editing Winter Downs in the first place. Jan's crime novel Winter Downs will be launched at 11.30 am on 3rd June 2017 in the Tolkien Room at CityCentral Library, Hanley, Stoke on Trent. All welcome! For those who can't be there it will be available through the usual online sources in both paper and ebook formats and there will be an online launch to follow. Name Game: short stories need good titles too.